Just after announcing the New iPad Air and New iPad Mini, Apple announces 2nd Gen. AirPods with Wireless Charging Case that supports Qi-compatible charging solutions. The new AirPods equipped with Apple-designed H1 chip for hands-free Hey Sir support, faster connect times and more talk time. AirPods come with either a Standard Charging Case or a new Wireless Charging Case and provide upto 5 hours of listening time on one charge or upto 3 hours of listening time with 15 minutes of charge. Both cases hold additional charges for more than 24 hours of total listening time and comes with an LED light indicator is placed on the front side of the case that shows the charge status. According to Apple, the new H1 chips allows AirPods to deliver up to 50 percent more talk time compared to the first gen. and also two times faster connect times. 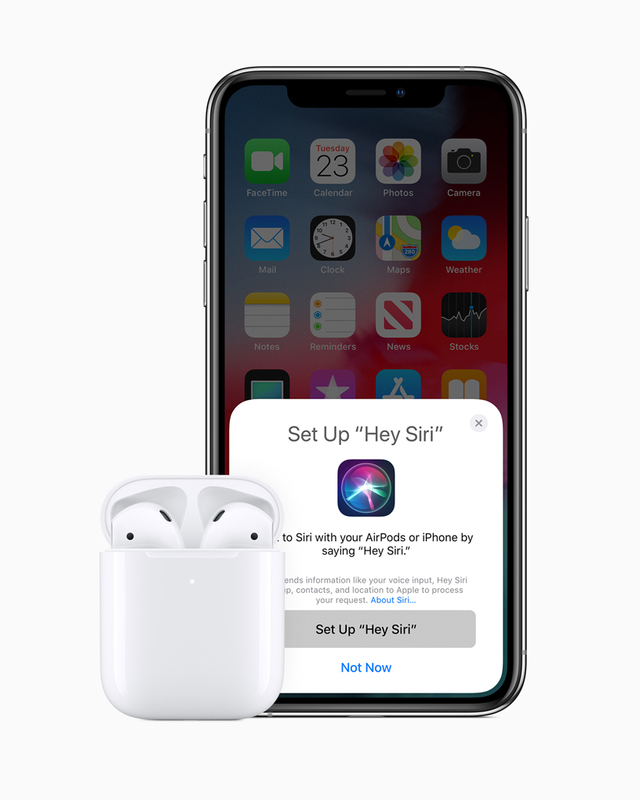 As stated above, the new AirPods supports Hey Siri making it easier to change songs, make a call, adjust the volume or get directions simply by saying, Hey Siri. Existing AirPods customer can also purchase the standalone Wireless Charging case. The new AirPods with standard charging case priced at ₹14,900, AirPods with Wireless Charging Case at ₹18,900 and the Standalone Wireless Charging Case at ₹7,500. All three devices will be available to order through Apple Authorised Resellers later this spring.